Good news, trophy hunters: achievements have returned to Zombies, Run! Previously exclusive to the ZombieLink website, we’ve now moved them into the app for easier access. With full Game Center integration, you can share your successes and even challenge your friends. 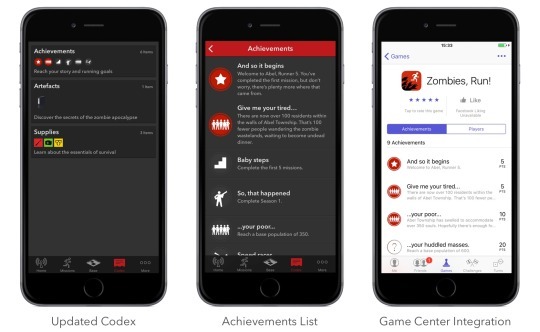 There’s a small selection of achievements to start with, and we’ll be continuously adding more. Fear not, Android runners: we’ll be bringing achievements to Google Play Games within the next few weeks! Previous Post Temporary Picker/Packers wanted!